Customize your MagicMount™ Pro to match or contrast your mount with the color of your mobile device, or compliment your vehicle's interior. 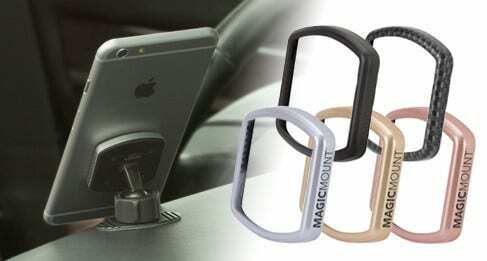 The MagicMount Pro brings the mobile device mounting system to a whole new level with interchangeable trim rings. A Silver and Black trim ring is included with your purchase. Not your colors? Apple device color match trim rings Space Gray Gold Rose Gold as well as Carbon Fiber will be available with separate purchase.